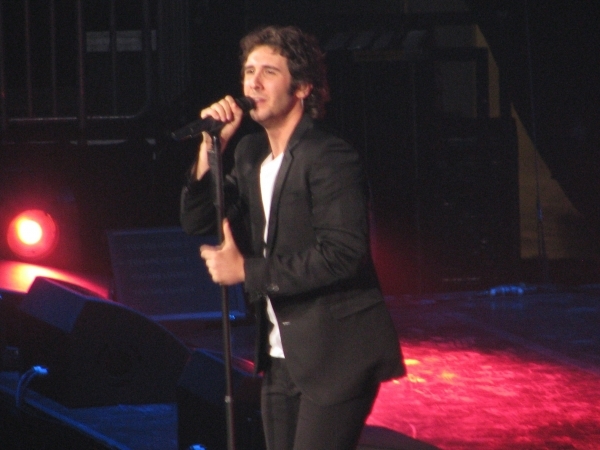 I was so excited when I got the opportunity to attend and review the Josh Groban concert in Newark, NJ at the Prudential Center. After that initial rush, my first thought was "OK, I know 'You Raise Me Up', but not many of his other songs very well." 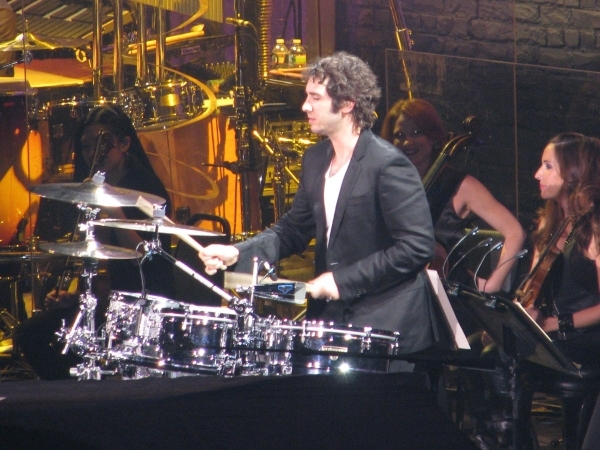 This was just a formality, since any concert-goer unfamiliar with Groban's music (perhaps including some of the men 'dragged there by wives or girlfriends' as Josh suggested early on in the show) needed was an open mind and a general appreciation of music. 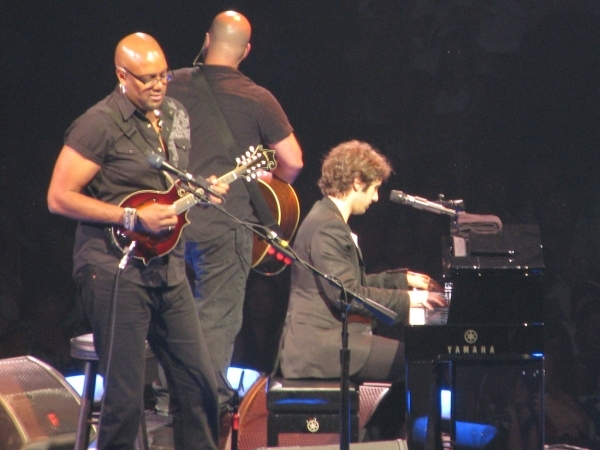 Josh Groban's amazing vocal talent, well written song arrangements and a tight backing band resulted in a performance that was undeniably excellent. Add to this Josh's onstage banter and direct engagement with his adoring fans, and an impish quality of silliness or 'slightly cheesiness' (Josh's own description of himself) and the outcome was a night of music accessible and enjoyable to all. 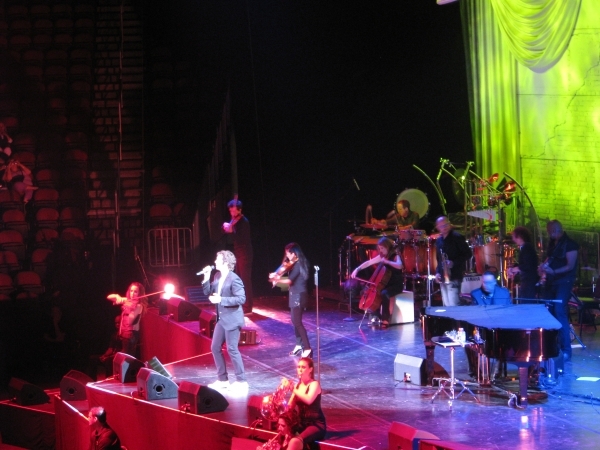 The show opened with Groban's string (violin, viola, cello) and brass (trumpet, trombone and french horns) sections on the stage playing an instrumental prelude. As all watched the darkened corners of the stage for Groban to appear, he threw the crowd a well received curve ball. Josh entered the arena from the rear, walking through the crowd to a hidden stage which rose from the sound tech area. 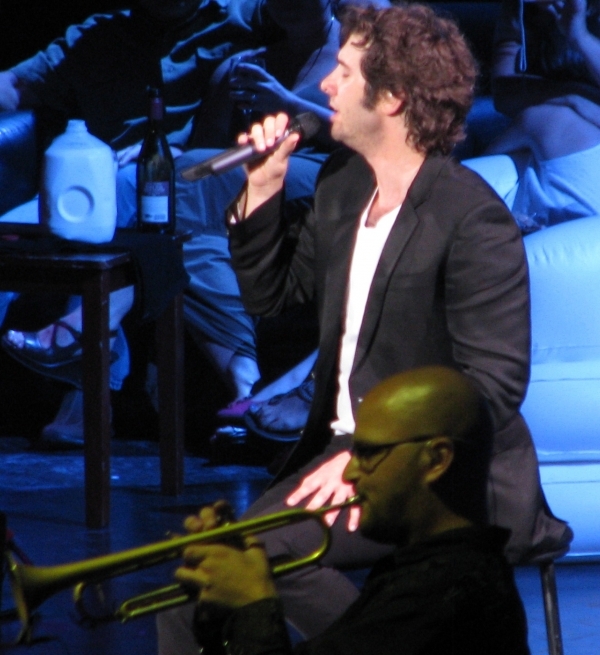 From the start he was connected with his audience and remained so for the entire performance; several times during the show he used the stairs from the stage (which he dubbed GAPs for Groban Access Points) to engage with the crowd including bringing several on stage to sit on an inflatable couch. The use of a SMS based Q&A session resulted in Groban answering questions about whether he understands the lyrics of the songs he sings in other languages (he does), his favorite flavor of jellybean (I think he settled on blueberry or vomit, I can't recall) and agreeing to sing a duet of his hit song "The Prayer" with Katie, a music major in the audience who sang remarkably well for the Prudential Center fans. The musical performance was flawless and songs such as the Spanish language, "Alejate" (see video), Portugese "Voce Existe Em Mim" and "Per Te" an Italian love song needed no translation. 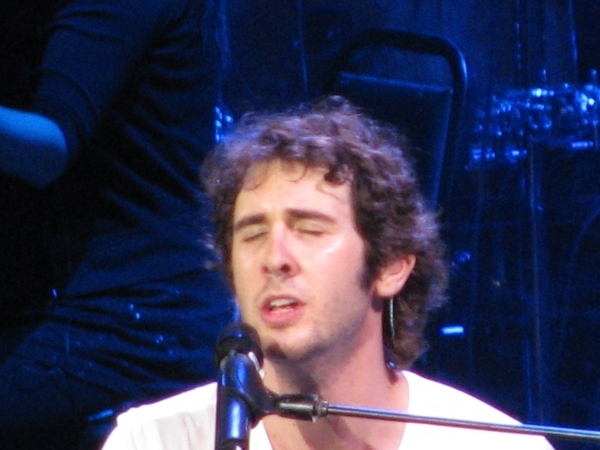 The melodies and emotions expressed by Groban through his singing made their meaning universal. "The War at Home" a song dedicated to active military and veterans (Josh saluted West Point Academy cadets in the audience) evoked a military sound with heavy brass and a crackling snare drum. "Broken Vow" an emotive and beautiful song about a relationship at its end, relied on just piano and a solo trumpet that echoed Josh's voice in a call and response that recall the anguish one feels during a break-up. Josh is truly an inspiration to his many fans, those in Newark being no exception. His love for music and the arts was already evident, but further reinforced by his call for funding arts education and cultural awareness. Josh founded the "Find Your Light Foundation" to champion arts education and he encouraged fans to donate by texting "Art" to 50555. 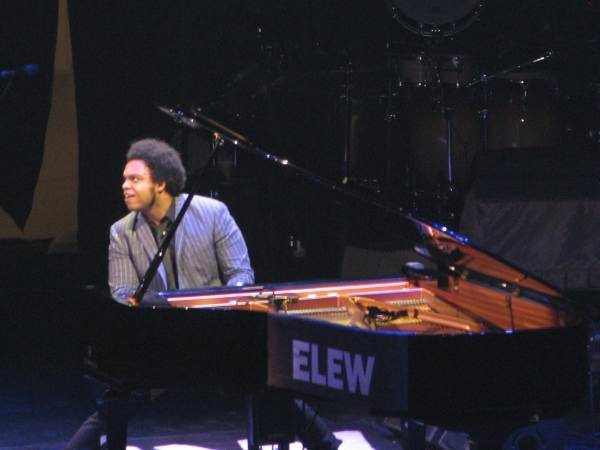 Opening act ELEW, an eclectic pianist was entertaining if somewhat gimmicky (such as plucking the strings of his grand piano). There's no denying ELEW's sheer talent and his fresh approach. His rendition of Nirvana's "Smells Like Teen Spirit" made me question whether I'd ever heard a piano sound as angry.